A Medicines Use Review is a private one to one chat with your pharmacist to focus on how you are getting on with your medicines. It can take place in the pharmacy or if housebound by appointment at home. The way in which you take your medication can have a huge impact on how effective they are and the amount they impact on your life in both a positive and negative way, with a Medicines Check we will ensure that you are getting the most from your medicine! It is an NHS service – which makes it totally FREE to you! You’ve been receiving your medicines from the pharmacy for 3 months or more. Do I need a Medicines Check? Even if you’re not in either of these groups, you can ask your pharmacist for advice at any time. Your pharmacist will be happy to arrange a review meeting, and may even suggest it. 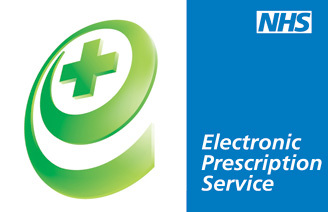 A Medicines Check with the pharmacist will usually take around 10 minutes and is completely confidential. How do I receive this service? When you collect your prescriptions you may ask the pharmacist for a review and the staff will book you an appointment either immediately while you wait or at a convenient time in the following week. The pharmacy staff will also periodically ask relevant patients if they would like to have a review. Please note that if you do not want a review just say and we will add a note to your records so that we do not ask in the future.